Blanket FlowerDeciduous perennial. Compact habit forms a neat mound of lance-shaped, gray-green leav.. Blanket FlowerDeciduous perennial. Foliage forms a neat mound of lance-shaped, gray-green leaves. La.. Blanket FlowerDeciduous perennial. Foliage forms a neat mound of lance-shaped green leaves. Large re.. Blanket FlowerDeciduous perennial. Foliage forms a neat mound of lance-shaped green leaves. Large or.. Blanket FlowerDeciduous perennial. Foliage forms a neat mound of lance-shaped green leaves. Large br..
Sweet WoodruffDeciduous perennial. Low, spreading habit. Slender square stems with aromatic, emerald..
GauraDeciduous perennial. Mounding habit. Thin, reddish-green leaves. 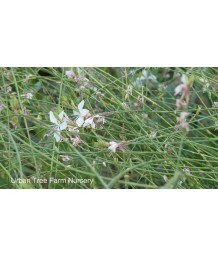 Light pink blossoms appear in ..
GauraDeciduous perennial. Upright habit. Thin, reddish-green leaves. Dark reddish-pink blossoms appe..
GauraDeciduous perennial. Upright habit. Thin green leaves. White blossoms appear in late spring and..
GauraDeciduous perennial. Compact habit. Thin reddish-green leaves. Deep pink blossoms appear in lat..
GauraDeciduous perennial. Compact habit. Thin reddish-green leaves. Rose pink blossoms appear in lat..
GauraDeciduous perennial. Upright habit. Thin reddish-green leaves. Bright pink blossoms appear in l..
GauraDeciduous perennial. Upright habit. Thin bright green leaves. Rosy pink blossoms appear in late..
GauraDeciduous perennial. Upright habit. Thin bright green leaves. White blushed-pink blossoms appea..
GauraDeciduous perennial. Upright and airy habit. Thin bright green leaves. White blushed-pink bloss..
GauraDeciduous perennial. Upright and airy habit. Thin bright green leaves. Tall red stems. White bl..
GauraDeciduous perennial. Compact habit. Thin bright green leaves. White blushed-pink blossoms appea..
GazaniaEvergreen perennial. Clumping habit. Tufts of thin, dark green leaves form a low mat. Golden ..
GazaniaEvergreen perennial. Clumping habit. Tufts of thin, rich green leaves form a low mat. 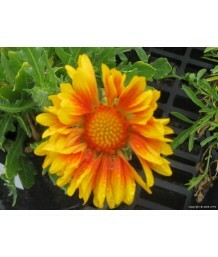 Sunny y..
GazaniaEvergreen perennial. Clumping habit. Tufts of thin, dark green leaves form a low mat. 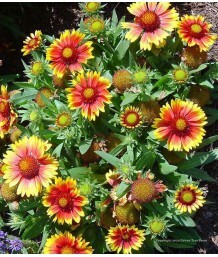 Rich or..
GazaniaEvergreen perennial. Clumping habit. Tufts of thin, dark green leaves form a low mat. Purple ..
GazaniaEvergreen perennial. Clumping habit. Tufts of thin, dark green leaves form a low mat. White d..
GazaniaEvergreen perennial. Clumping habit. 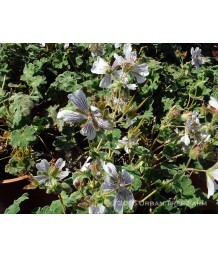 Tufts of thin, dark green leaves with silvery undersides..
CranesbillSemi-evergreen perennial. Evergreen in mild winters. Dense dark green foliage forms attrac..
CranesbillSemi-evergreen perennial. Evergreen in mild winters. Deeply lobed small green leaves. Soft..
CranesbillSemi-evergreen perennial. Evergreen in mild winters. Dense green foliage forms attractive ..
CranesbillSemi-evergreen perennial. Evergreen in mild winters. Deep green foliage forms attractive m..
Garden (Pelargonium horticum)Deciduous perennial. Ivory and green variegated foliage forms attractiv..
Garden (Pelargonium horticum)Deciduous perennial. Dark green foliage forms attractive mounds, great ..
Garden (Pelargonium horticum)Deciduous perennial. Dark blue-green foliage forms attractive mounds, g..
CranesbillSemi-evergreen perennial. Lacy, dark green foliage that turns red in fall. 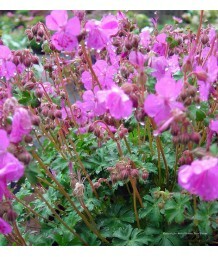 Small, bright m..
Lilac CranesbillSemi-evergreen perennial. Low mound of deep green foliage. Large, rich, deep blue fl..
CranesbillSemi-evergreen perennial. Evergreen in mild winters. Delicate green foliage forms attracti..
Canary Island GeraniumSemi-evergreen perennial. Evergreen in mild winters. Dark green foliage forms ..
Renard GeraniumSemi-evergreen perennial. Lacy, bright green foliage creates a mound that turns yello..
Hardy GeraniumSemi-evergreen perennial. Evergreen in mild winters. Bright green foliage forms attrac..
Bloody CranesbillSemi-evergreen perennial. Evergreen in mild winters. Dark green foliage forms attra..
Bloody CranesbillSemi-evergreen perennial. Low mound of deep green foliage. Large, soft pink flowers..
Bloody CranesbillSemi-evergreen perennial. Lacy, bright green foliage creates a mound that turns red..
Bloody CranesbillSemi-evergreen perennial. Low mound of deep green foliage. Large, very light pink f..
Bloody CranesbillSemi-evergreen perennial. Evergreen in mild winters. Dense green foliage forms attr..
CranesbillSemi-evergreen perennial. Evergreen in mild winters. Light green foliage forms attractive ..
CranesbillSemi-evergreen perennial. Evergreen in mild winters. Bronze green foliage forms attractive..
CranesbillSemi-evergreen perennial. Evergreen in mild winters. 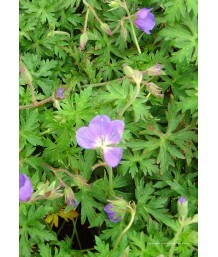 Dark green foliage forms attractive m..
Meadow CranesbillSemi-evergreen perennial. Evergreen in mild winters. Chartruese green foliage forms..
Russell Pritchard CranesbillSemi-evergreen perennial. Evergreen in mild winters. Dense green foliage..
Transvaal DaisyDeciduous perennial. Large dark green leaves form bushy mounds. 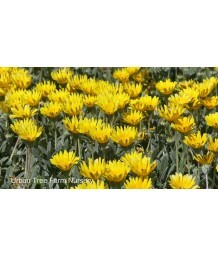 Large golden yellow d..
Transvaal DaisyDeciduous perennial. Large dark green leaves form bushy mounds. Large bright orange d..
Transvaal DaisyDeciduous perennial. Large dark green leaves form bushy mounds. Large bright rose pin..
Transvaal DaisyDeciduous perennial. Large dark green leaves form bushy mounds. Large bright red dais..
Transvaal DaisyDeciduous perennial. Large dark green leaves form bushy mounds. 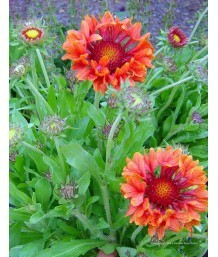 Large bright coral re..
AvensSemi-evergreen perennial. Evergreen in mild winters. Used as ground cover. Deep green heart sha..
AvensSemi-evergreen perennial. Evergreen in mild winters. Used as ground cover. Medium green leaves ..
AvensSemi-evergreen perennial. Evergreen in mild winters. Used as ground cover. Deep green leaves gr..
AvensSemi-evergreen perennial. Evergreen in mild winters. Used as ground cover. Fuzzy green leaves g..
Byzantine GladiolusDeciduous perennial. Green, sword like foliage. Maroon, sometimes reddish or copp..
Byzantine GladiolusDeciduous perennial. Shorter than many other varieties and may not require stakin..
Abyssinian Sword LilyDeciduous perennial. Green, sword like foliage. 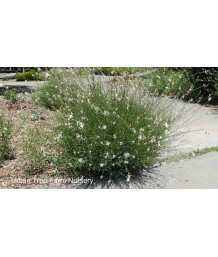 Fragrant, creamy white blooms m..
Horned PoppyEvergreen perennial. Mounded rosettes of fuzzy gray-green leaves are deeply incised and .. Ground IvyEvergreen perennial. Used as a groundcover. Can be used as a lawn substitute. Neat pairs o.. Giant Rhubarb/Dinosaur FoodSemi-evergreen frost-sensitive perennial. 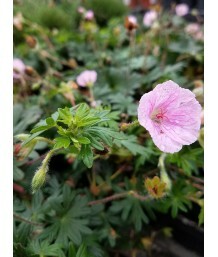 Unique specimen plant is remini..
Alpine Baby's BreathDeciduous perennial. Forms a compact tuft or mound of small, rounded green leave..
Baby's BreathDeciduous perennial. Tiny green leaves. Numerous, long-lasting, double white flowers ap..
Baby's BreathDeciduous perennial. Tiny green leaves. 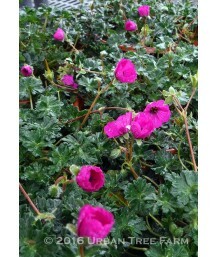 Numerous, long-lasting, double pink flowers app..
Baby's BreathDeciduous perennial. Airy, dark green foliage grows loose and wide. Incredible blooms o.. Creeping Baby's BreathDeciduous perennial. Dwarf cousin to the more familiar taller Baby's Breath. T..